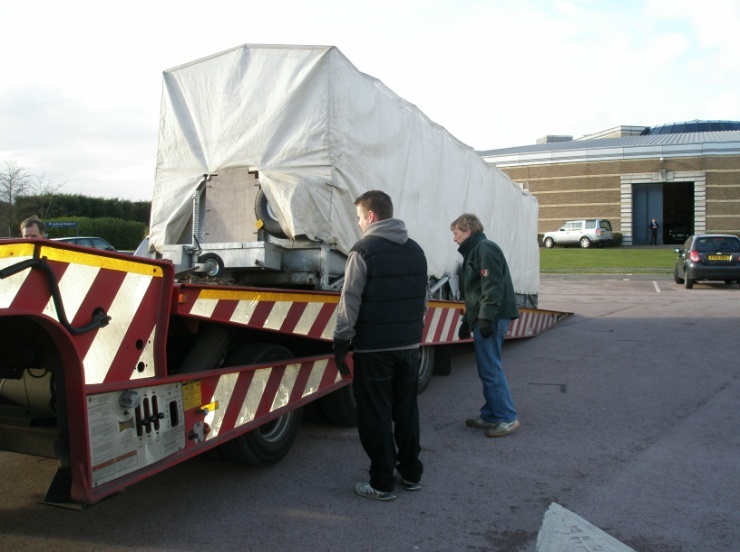 The Heritage Museum at Gaydon is hosting an exciting exhibition this year from February – September 2012. The exhibition will feature the best of motoring record breakers including 'INSPIRATION' the world's fastest Steam Car. This is the first time 'Inspiration' has been seen in public since her UK tour in 2010. 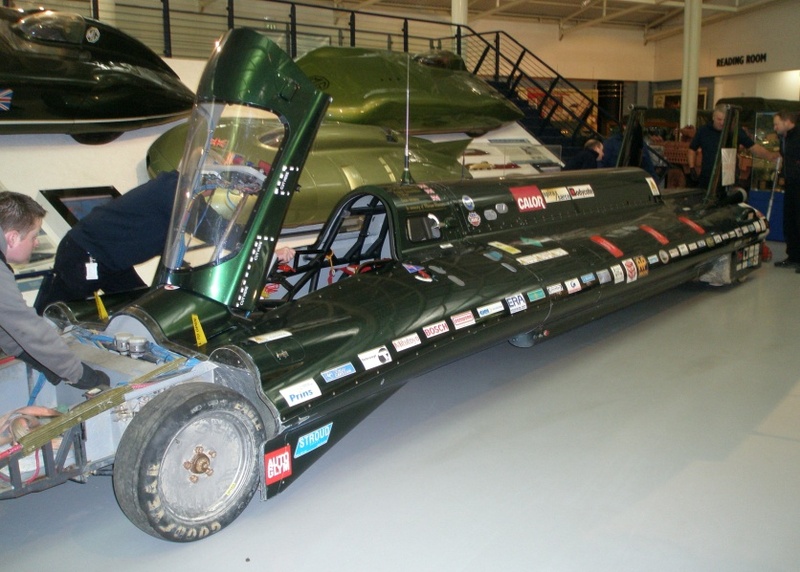 The Royal Automobile Club has chosen as the recipients a small group of talented individuals that set out to break the world’s oldest Land Speed Record and in August 2009 they achieved their goal and set a new world record for a steam powered car. 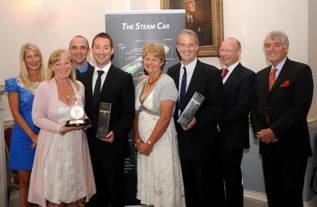 The British Steam Car Challenge Team now joins a very select group that have been awarded the Simms Medal. The ambitious design of the land speed record challenger envisaged a vehicle powered by a specially designed steam turbine of 380bhp. However, such a turbine on an open cycle, uses a lot of steam and this resulted in a vehicle with no less than 12 specially designed water tube boilers, fuelled by liquid propane. The complexity of this, and of the control systems, was not the subject of a high power engineering effort by a major company, but was handled a core team of just 15 individuals doing most of the work on a farm at Lymington in Hampshire. 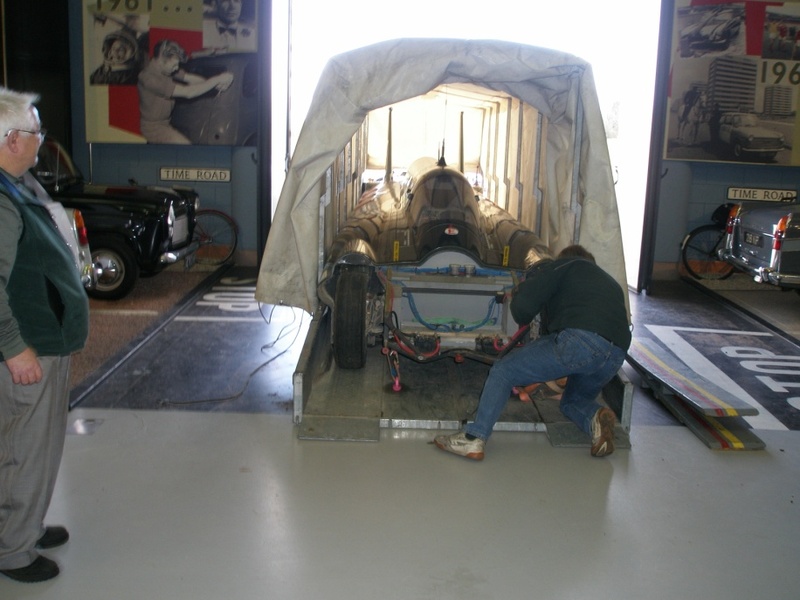 The small team persevered and after many trials and tribulations, the car driven by Don Wales and Charles Burnett set a number of new records, including a new Guinness World Land Speed Record for a steam powered car at Edwards Air Force Base in California, with an average speed of 139.843mph for a measured mile, and 148.308 mph over two consecutive runs over a measured kilometer. "No one is going to suggest that this vehicle represents a major technical breakthrough, a relatively small improvement has been won at a cost of enormous complexity but it is unquestionably a triumph of determination, persistence and absolute refusal to give up in the face of adversity. Does it exemplify the "spirit of adventure"? Unquestionably! And that is why the British Steam Car Challenge Team, in memory of the late Frank Swanston, has been awarded the Simms Medal 2009." "The team is extremely honored to receive this prestigious award and would like to dedicate it in memory of the former Chief Engineer and Project Manager Frank Swanston to his outstanding contribution to the project". The Royal Automobile Club Simms Medal is named after the Club’s founding member Frederick Simms and is awarded to recognise a genuine contribution to motoring innovation by individuals or small companies that also exemplify the spirit of adventure. Previous winners of the Simms Medal include Radical Sportscars, BAR Honda, Simon Saunders, the designer of the Ariel Atom and Bill Gibson, the co-founder and Managing Director of Zytek, for his achievements in the fields of motorsport and electric vehicles. The last award was made in 2007 when Ford Motor Company Group Vice President and Chief Technical Officer Richard Parry-Jones was awarded the Simms Medal for setting new standards in road vehicle dynamics that benefit millions of motorists across the world. The recipient of the Simms Medal is chosen by the Dewar Trophy Technical sub committee and is normally awarded alongside the recipient of the Dewar. The Dewar Challenge Trophy may be awarded in any calendar year for an outstanding British technical achievement during the preceding year or one that is known to have reached a significant stage of development, application or utilisation during that year. The recipient of the 2009 Dewar Trophy is Mercedes-Benz HighPerformanceEngines Limited for the outstanding achievement in the design, development and implementation of KERS in Formula One. For the British Steam Car to appear at public events, the team relies on sponsorship and the sales of merchandise to fund its tour. From the outset of the project, one of the goals was to inspire young people and students by stimulating interest in engineering and technology, hence her name "Inspiration". Should you wish to make a donation to the Steam Car Tour Appeal, you can do safely and securely using the PayPal Donation button below. "Best Innovations of 2009". Check out www.time.com for details. On August 25th, 2009 at Edward's Air Force Base in California, USA, the British Steam Car, driven by Charles Burnett III broke the existing land speed record by a steam powered vehicle with an average speed of 139.843 mph over two consecutive runs over a measured mile. This was recorded and has since been ratified by the FIA. On August 26th, 2009 the British Steam Car, driven this time by Don Wales, broke a second record by achieving an average speed of 148.308 mph over two consecutive runs over a measured kilometer. This was also recorded and again, has since been ratified by the FIA.